Dr. Frank was appointed Dean of the Faculty of Education at The University of British Columbia for a five-year term, effective April 1, 2011. He earned his PhD from Dalhousie University (1990), MEd (1981), BEd (1976) and BA (1975) from Acadia University. A scholar and advocate for social justice and equity with over four decades working in education, Dr. Frank is an experienced educator and administrator who brings a strong commitment to excellence in research, teaching and academic leadership. 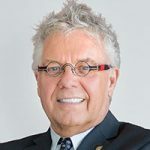 Prior to his current appointment, Dr. Frank was Professor and Head of the Division of Medical Education in the Faculty of Medicine at Dalhousie University in Halifax. Dr. Frank has an active research career and is a recognized expert in the field of gender studies with academic interests that include masculinity and the sociology of boys’ and men’s health.